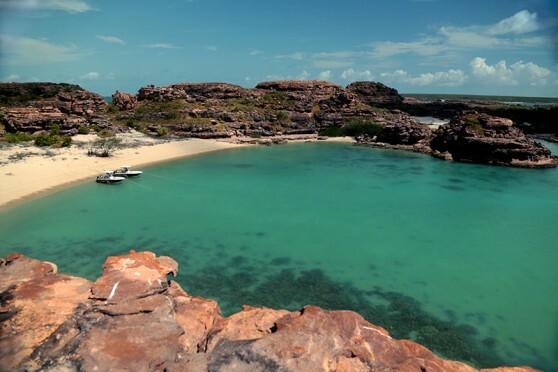 Groote Eylandt is an untouched fishing mecca! The 300 square kilometres of prime, virtually unfished water surrounding the lodge is home to some of the most prized species in the world: marlin and sailfish, hard-hitting blue water species, plucky reef fish and the iconic barramundi. From September to December, in the Top End's ‘build-up' season, barramundi become very active and are landed in high numbers. March, April and sometimes into May is referred to as the ‘run off' period, when the flooded billabongs and catchments pour fresh water full of baitfish back into the rivers, where barramundi lie in wait of a feed. 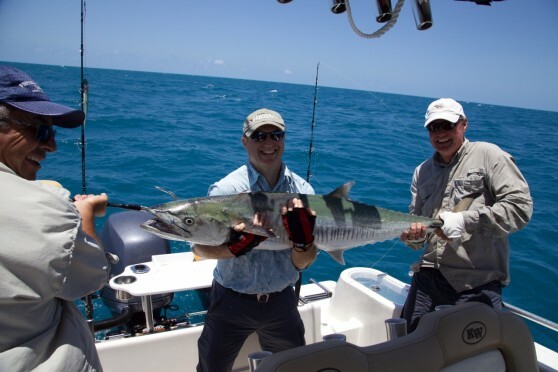 ‘We've caught sailfish in February, and every other species of fish that live out here every day of the year, so you really can catch all fish all year round, including barramundi', said Andrew. 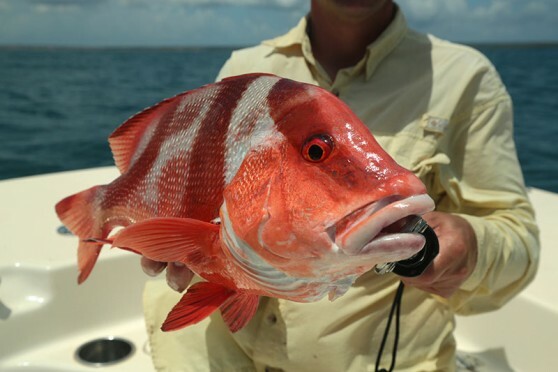 It's isolated: zero pressure from commercial fishing operators and virtually none from recreational anglers mean fish stocks around Groote are incredibly healthy. Ideal breeding habitats: the archipelago's fringing coral reefs, rocky headlands and sand islands create plenty of sheltered breeding areas for bait fish. This abundance of bait is what brings in the big sportfish anglers love to catch. A unique tidal system: this nest of islands has a very different tidal system to the huge tides in Darwin. 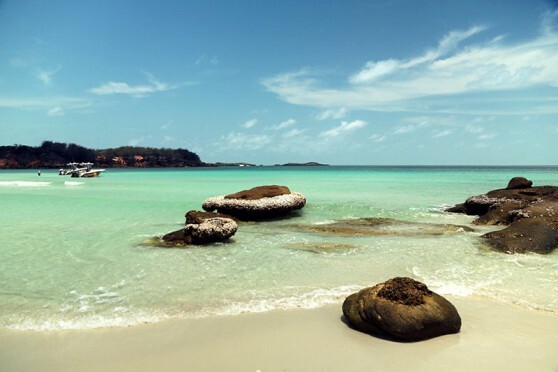 Here, tides are small-mostly under three metres-which means the water around the islands is crystal clear. 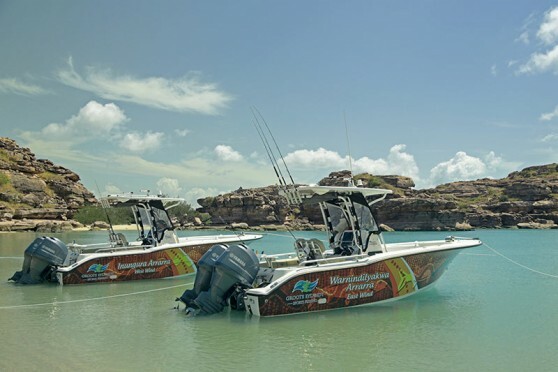 Mix of experiences in one spot: Groote Eylandt's diverse marine habitats-tidal coastal creeks, mangrove-lined estuaries, coral reefs, sandy islands and kilometres of coastline-mean anglers can taste the Top End's world-renowned fishing experiences in one spot in a few days. It's hard not to catch a fish. 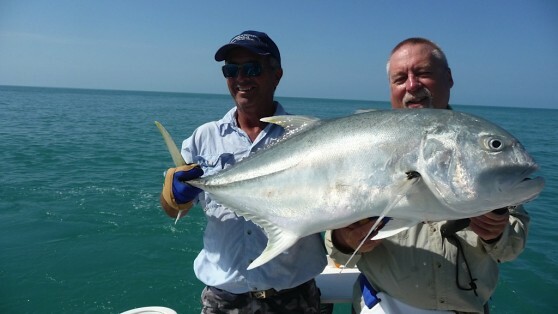 Our guests are pretty well guaranteed an incredible fishing experience at Groote Eylandt, almost irrespective of weather. In the peak seasons, you could throw a spoon out and it would be annihilated. It really is that good. 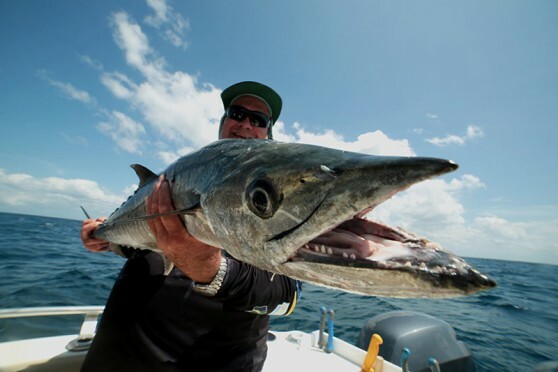 On a typical three-day safari, you'll experience reef, bluewater and estuary fishing and tangle with hard-hitting tropical species from marlin and sailfish on day one to the iconic barramundi on day three. 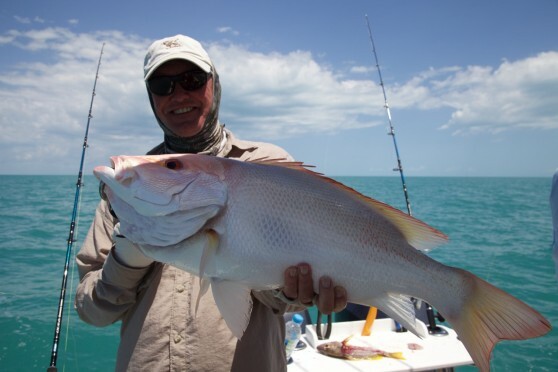 Head guide Andrew Darby, has been fishing Northern Territory waters for more than two decades and guiding visiting anglers full time since 2007. 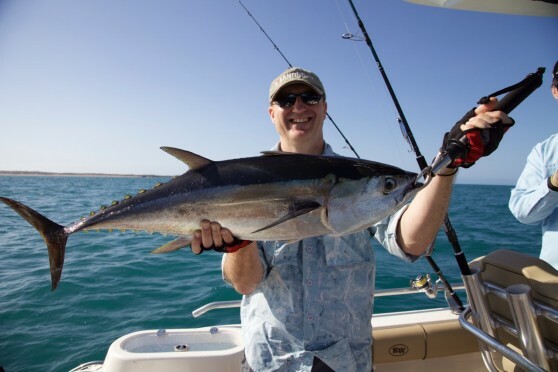 Andrew hails from South Australia and has fished all over the country, throughout SA, New South Wales and in Sydney Harbour. 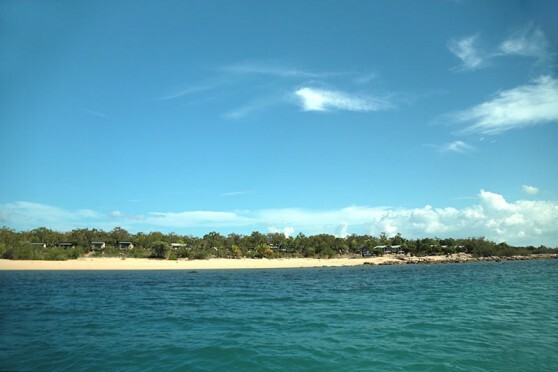 But after nearly three years exploring the fish-rich waters of Groote's pristine archipelago, he says Groote Eylandt is one of the best fishing locations in Australia. ‘You could fish for three or four days out here and catch a marlin on the first day and a barramundi on the last day and every other species the tropics has to offer in between', he said. Barramundi is Andrew's all-time favourite target; he fondly remembers an older gentleman on his first ever barra fishing trip at Groote landing a 94cm fish on his very first cast. 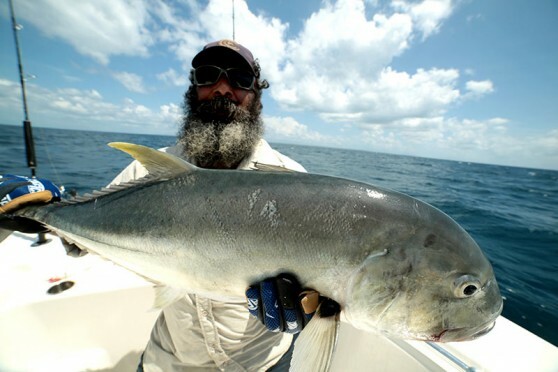 But he says it's tough to beat the incredible billfishing experience Groote consistently dishes up.